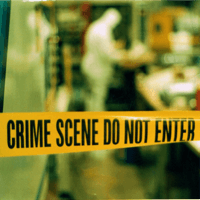 This course is for people seeking crime scene cleanup training so they can start their own company, work for an existing company, or add these services onto an existing company. Learn everything it took us 10 years to learn. Learn how to do the work, price jobs, deal with insurance adjusters, obtain supplies, charge for your time, get the word out, who to network with, etc. We teach you everything! All of our courses, textbooks, and exams are online. There are no extra fees for textbook files or exams. Everything is done online. You can start your training 5 minutes from now and be certified by this time next week. We provide on-going support to all Amdecon students after graduation. If you have a question while out in the field performing crime scene cleanup, just pick up the phone and call us 24 hours a day, 365 days a year. Attention business owners: We have two versions of this course. We have the “with business” version which includes teachings about pricing and marketing and we have the “without business” version for your employees who are “techs” only. This way they won’t get the idea of quitting and becoming competitor. Protect your business! Details: 26 hours in length for the “business included” program and 21 hours in length for the “no business included” program + 90 minutes exam time (111 True/False and multiple choice questions. Unlimited exam attempts. ), and approved for 27 IICRC CECs. This course can easily be completed in a week; however we give you 10 months (from the registration/sign-up date) to complete it. It is your responsibility to complete your training on time. No extensions will be allowed. The terms crime scene cleanup, trauma scene clean up, CTS Decon or bio-recovery all refer to the cleaning and decontamination of the biological aftermath left behind at the scenes of murders, homicides, suicides, unattended deaths, human decompositions, etc. These courses are for people seeking crime scene cleanup technician training so they can start their own company, work for an existing company, or add these services onto an existing company. We include all business and marketing teachings. We don’t charge an additional fee for you to learn how to price jobs, deal with insurance adjusters, obtain supplies, charge for your time, get the word out, who to network with, etc. We teach you everything! If you are a business owner and want to get your employees certified, but don’t want them to know all the business and marketing aspects, then you’ll want to order our Employee Crime and Trauma Scene Cleanup program for them. It’s the exact same one, with the same exam, certifications, and IICRC CECs, but it doesn’t have the business and marketing discussions the full course has. We will teach you every aspect of this industry and how to follow all applicable OSHA standards. Your instructor, Mr. Tillman, is the founder of the company, a Certified Safety and Health Official, and OSHA-Authorized Trainer. This means the Occupational Safety and Health Administration (OSHA) has trained and authorized Mr. Tillman to train and certify you. You are being trained at a Federal level. These certifications are recognized by the United States Federal Government and are valid in all 50 states and Puerto Rico. They meet the California Health and Safety Code Chapter 9.5, Section 118321, which sets the standards for California Trauma scene waste management practitioners. They are approved by the Institute of Inspection, Cleaning and Restoration Certification (IICRC) and the Restoration Industry Association (RIA) for continuing education credits. Fortune 500 companies, governmental agencies, and universities have all embraced distance learning. We give an affordable option to everyone who would like to learn about this industry and be given an opportunity to improve their lives. The company was started in 1999 when there was no training like this available. We had to figure everything out on our own. We’ve spent at least a million dollars figuring out how to do this business and we’ve made a lot of mistakes along the way. You don’t need to make these mistakes; there’s no need to reinvent the wheel. Let us teach you everything that has taken us since 1999 to learn. Don’t learn things the hard, expensive way; learn things the easy, smart, inexpensive way! We impart a decade of experience to you. We teach you everything from A to Z; from gathering your initial supplies, to all the OSHA regulations, to performing the work, estimating and pricing jobs, collecting your money, dealing with the families and insurance adjusters and on and on and on. Having the technical skills to perform proper decontamination is important, but equally as important is having the knowledge to run a decontamination business successfully and stay legally compliant. We help you understand the science and operational details needed to make critical remediation and administrative decisions. In addition, we cover start-up information like legal structures, licenses, tax requirements, workers compensation, and other legal issues. Here is a list of just some of the topics covered. Fit Testing. What are they and where to get one? We’ll teach you OSHA regulations so you will understand why and how they apply to this industry and how you can be fully OSHA-compliant. We will also teach you what equipment, cleaning supplies, deodorization techniques, and disinfectants we use and where to get them. We’ll teach you about disease transference and the biological dangers associated with this work. We’ll teach you how to deal with insurance adjustors and grieving families. You will learn how to estimate jobs, and how to market and network. You’ll learn about getting the work, how to charge for your time, performing the work, and getting paid! Learn exactly what we do and the techniques and procedures we follow. Learn how we remediate a scene. Learn what to do when you find critical evidence. Learn why having the technical skills to perform proper decontamination is important, and learn why having the knowledge to run a decontamination business successfully and stay legally compliant is equally as important. To make sure you are well-armed to grow your business, we also cover marketing and advertising. We show you how to create invoices, and how to obtain insurance. Learn how to select and outfit a vehicle. We discuss in detail job pricing, and how to charge, how to estimate, and how to get paid. You’d think that was a once in a lifetime opportunity, wouldn’t you? You’d drop everything you were doing to jump at this offer, wouldn’t you? Well, our training is no different than that. The only thing you don’t have to do is get all hot and sweaty! We learn with our eyes, ears, and mind. Don’t believe the myth that says we only learn by doing it with our hands. That myth was created 50 years ago before we had the technology of today. Do you really need to block a week out of your life, fly cross country, get a hotel, get a rental car and drive to a building just to put on a suit and be shown how to use a sponge? Certainly not! When you are ready for it we will assist you via email and phone support in setting up your own hands-on trauma scene mock-up rooms using real blood and tissue if you wish. BEWARE: There is a website on the internet that claims OSHA requires hands-on training for crime scene cleanup. This is not true. I suggest you follow their link and see the “documentation” they provide. You will find the Hazardous Materials Standard Number: 1910.120 App E.
Click here to read this for yourself on OSHA’s web site. Problem number 1) If you will read the scope of the standard (below) you will see that crime scene cleanup does not fall under any of the operations covered. Here is the scope of the standard. Crime scene cleanup does not fall within any of the operations listed above. Problem number 2) The title of that standard is “Training Curriculum Guidelines – (Non-mandatory).” Note the non-mandatory part; do you know what that means? It means just what it says: It’s non-mandatory. Click here to read this for yourself on OSHA’s web site. Look for the line at the beginning of the document that reads: Title: Training Curriculum Guidelines – (Non-mandatory). So the people who run that website are claiming that OSHA requires hands-on training but they are quoting a non-mandatory standard. This is another example of people intentionally misquoting OSHA regulations. Why would they intentionally mislead you? It’s plain and simple; they want you to pay them $5,000.00 to attend theirs instead of spending a small fraction of that to take ours. Do you really want to give a company thousands of dollars when they intentionally mislead you like that? We wouldn’t either. OK, enough about that stuff. Let’s get back to all the good stuff about the Amdecon training program. Believe us, we have trained students in over 26 countries and all the students had the same questions in every single class. All of your questions will be answered if you just study as the program is designed. All we ask is that you jot down your questions as they come to you and continue studying. Typically you will find that when a question pops up in your mind it’s getting ready to be answered if you’ll just continue studying, your questions will be answered. But what happens if you really do come up with a question that has never been asked before? It’s easy: You email or call us and we’ll discuss it. We are available to you and it’s really just that simple. “But, how do I follow along with the class?” We include the files to print out our textbook, which is synchronized with the training videos. When the instructor says, “Turn to page 95,” you simply turn to page 95 in the textbook that you printed out and you’re right there in class with everyone else. Why waste our natural resources, add to global warming, and pay shipping charges to have a textbook shipped to you when you can simply print one out at your home or office? You will feel just like you’re in the class reading the textbook and hearing everything everyone is saying. Because we don’t have to print the textbooks and ship them to you we can offer this opportunity at a lower price. If you are serious about this it’s time to get started. It’s time to quit “thinking about it.” It’s time to stop “doing research.” And it’s time to quit telling all your friends, “SOMEDAY I’m going to be a crime scene cleaner.” It’s time to do it. There are two kinds of people in this world: Talkers and doers. Which one are you? Your investment in your future is only $495.00 and your certification exam is included. Each of our courses can easily be completed in a week; however, we give you 10 months (from the sign-up date) to complete our full courses and 45 days to complete our refresher courses. It is your responsibility to complete your training on time.